Note that membership in AIEA does not imply endorsement by AIEA. AIEA is not an accrediting body, and member organizations are not subject to an approval process. Archive: 2016-2017 Member Institutions and Organizations. 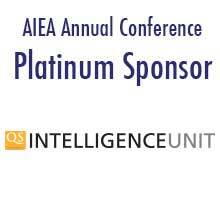 Note that membership in AIEA does not imply endorsement by AIEA. AIEA is not an accrediting body, and member organizations are not subject to an approval process.